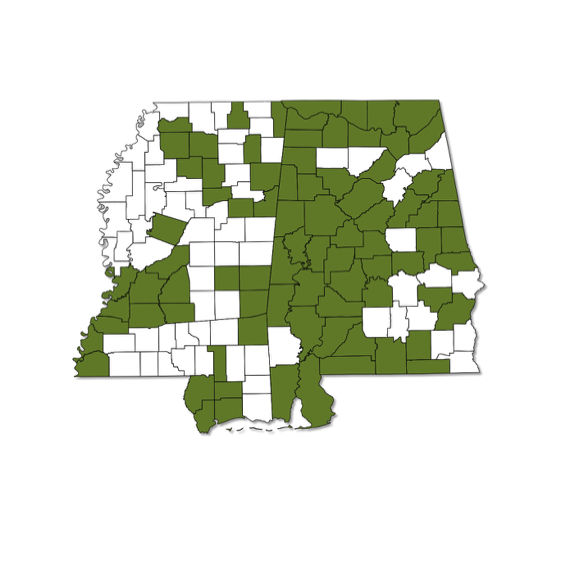 Common throughout both Alabama and Mississippi, flying from spring to fall. Upper surface of forewings dark with single row of small pale spots near wing margin. Males have a blue-green iridescence on upper surface of hindwings, while in females the color is less conspicuous. 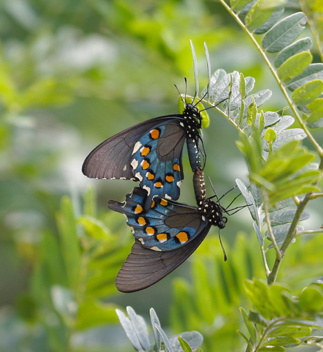 Lower surface of hindwings have a single row of orange spots surrounded by iridescent blue.